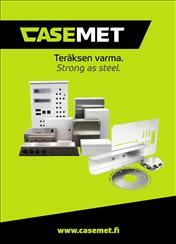 The certified products (Cubo E- EO and F-ranges) manufactured by Casemet Oy, fulfil requirements of standards listed underneath. In addition to this Cubo E and F ranges comply with DNV-GL and UL 508A Industrial Control Panels requirements. Cubo V comply with IEC 60529 requirements.